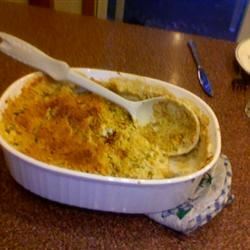 Broccoli dish mixed with cream of mushroom soup, cheese, and other various ingredients topped with crushed Ritz(R) crackers. This was delicious! It was the favorite dish at my family&apos;s Thanksgiving! I did change a few things though. 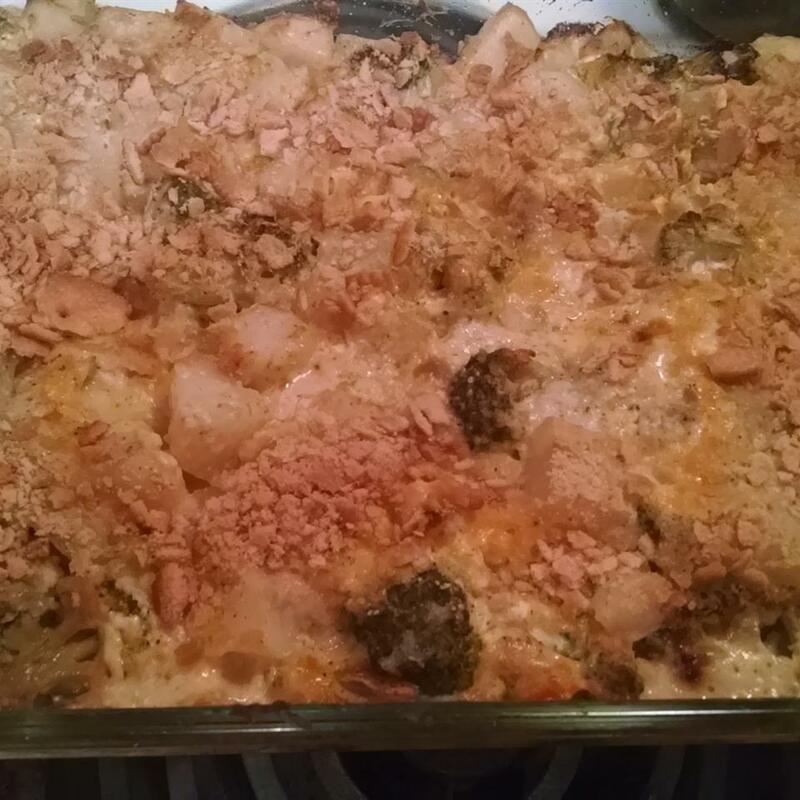 I only used one egg extra cheese and extra Ritz crackers to mix into the casserole as well as top. I did this because I had read in previous reviews that it was runny. 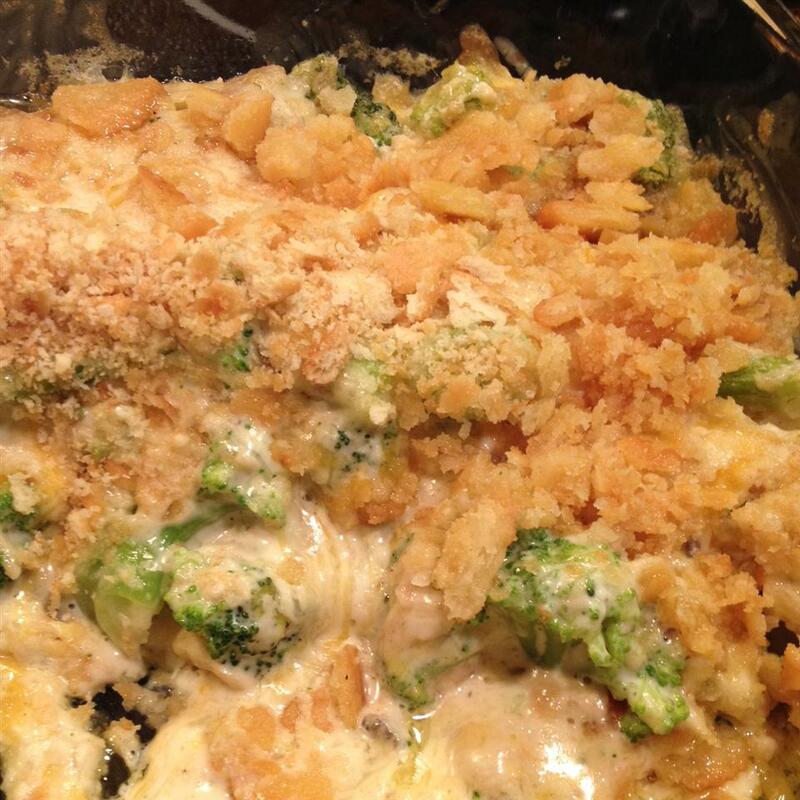 I also used two large fresh broccoli crowns instead of frozen. It was so delicious and not runny at all! EVERYONE raved about it and it was the only dish that was completely gone. This was liquidy overwhelmingly oniony (and I only used half an onion) and very disappointing overall. 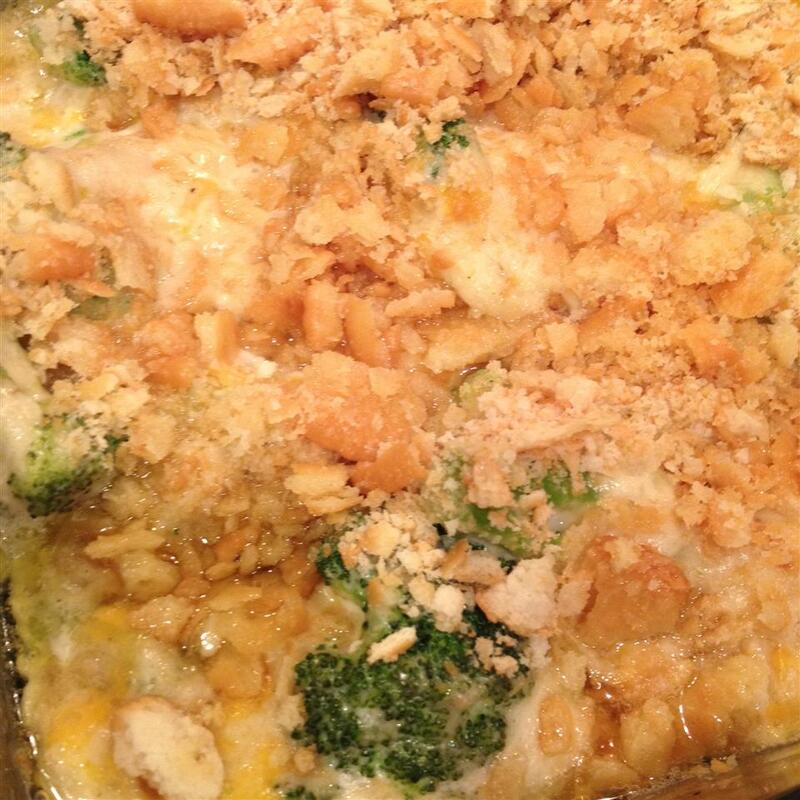 I&apos;ve enjoyed several casseroles on this site but this one needs a lot of help. 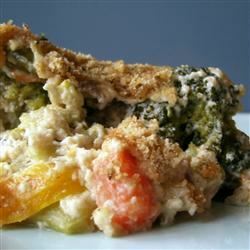 This is a wonderful way to turn healthy veggies into a naughty treat! 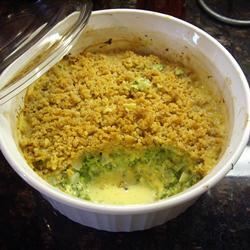 Love this recipe and had to control myself from eating half of it for dinner! I did change it up a bit. 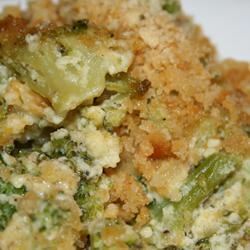 I used 2 16oz packages of broccoli & cauliflower blend since that is what I had on hand. I used cream of celery soup since I don&apos;t like cream of mushroom and I also omitted the onion since I don&apos;t like onion. I forgot to add the eggs but it didn&apos;t need them. 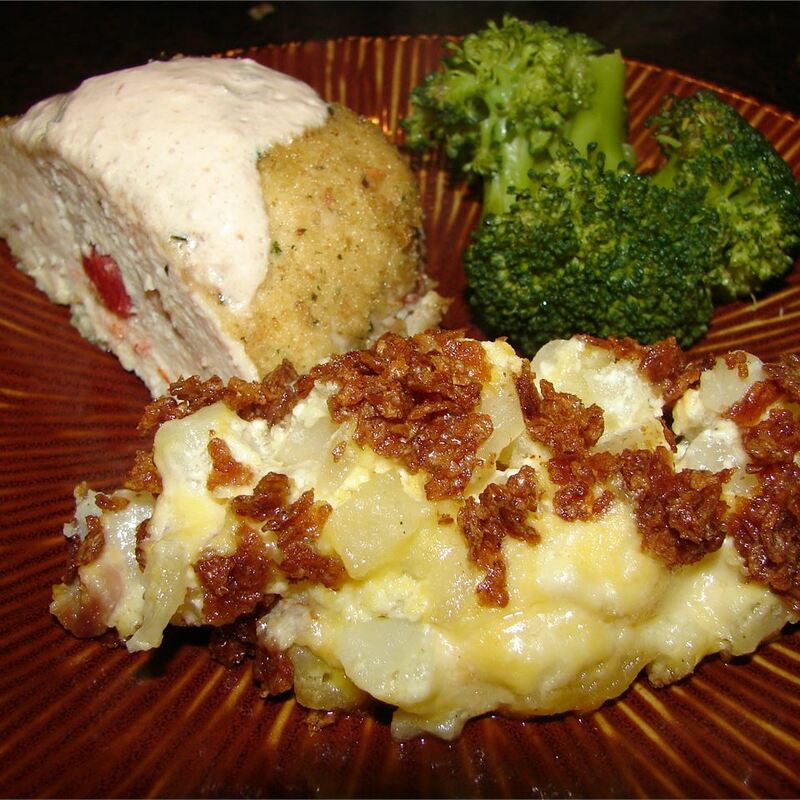 I made this years ago for a holiday dinner and everyone loved it. 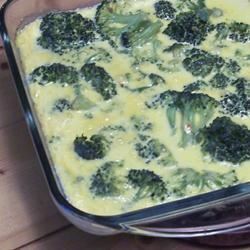 I would definately eat this over green bean casserole! I made this a second time as the recipe stated and I would definately suggest leaving out the eggs! 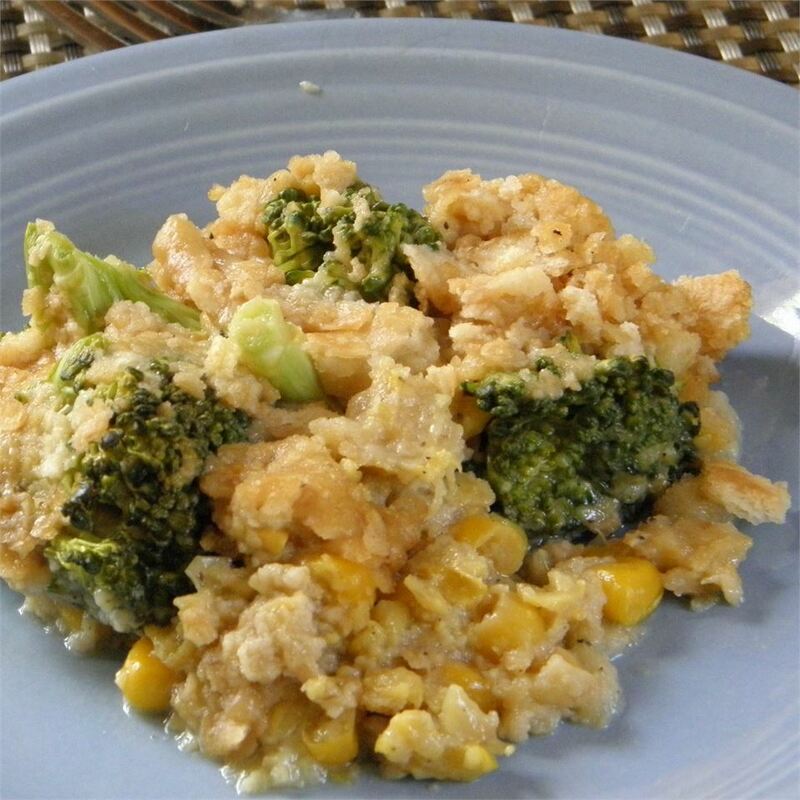 It had a weird scrambled egg consistency and I much preferred the casserole without the eggs. 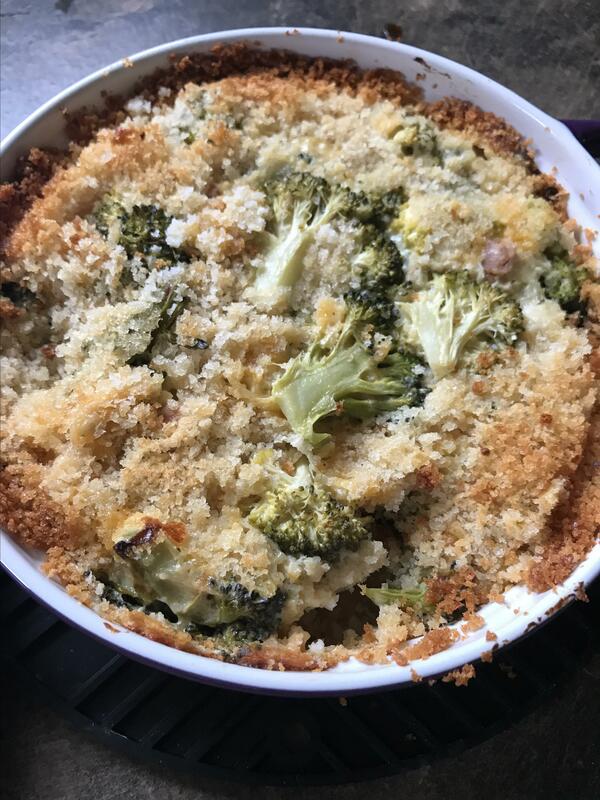 I made this last night following the recipe exactly except I used fresh broccoli; my husband and I both loved the flavor but it was a bit too juicy. Next time I&apos;ll add some bread crumbs to the mixture to soak up some of the wet ingredients and possibly some cooked chicken or turkey to make a one-dish meal. Very tasty dish!!! Following advice from other reviewers I used 1 egg instead of 2 5 tablespoons of butter instead of 8 and added extra cheese (about 1 1/2 cups instead of 1). 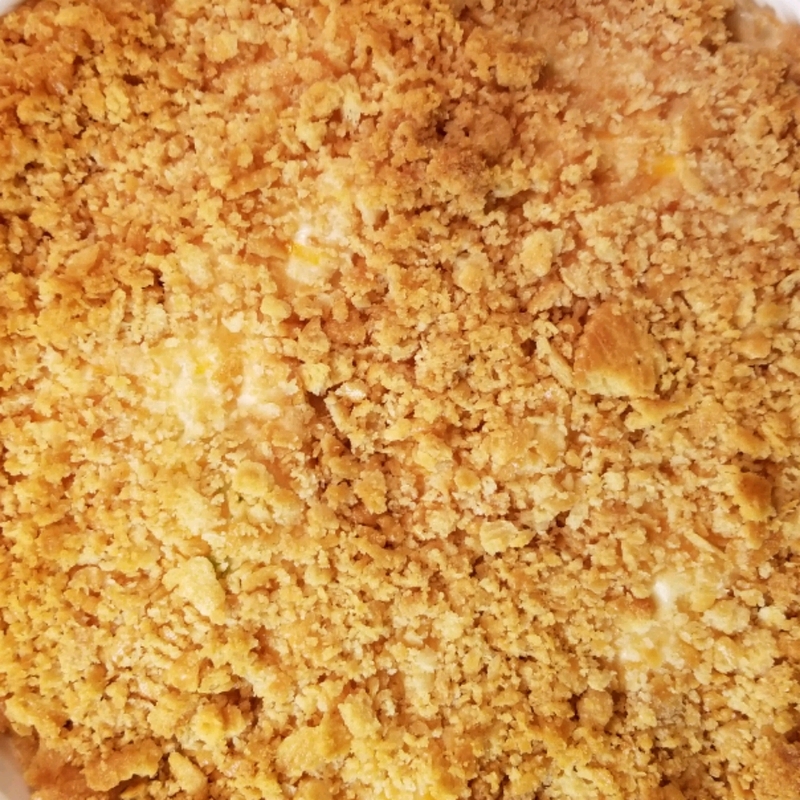 I crushed up one sleeve of Ritz crackers mixed about 1/4 cup into the casserole (to thicken as others said it can be a bit soupy) and spread the remaining 3/4 cup over the top. 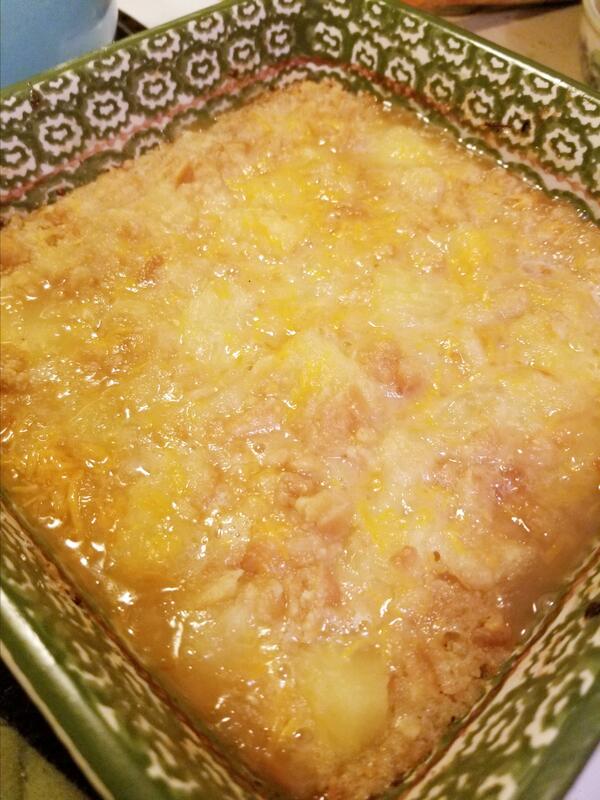 I used a 9x13 casserole dish and cooked it for 40 minutes at 350 (to soften the onions - they were still a little crunchy after 30 minutes). It was delicious and it got great reviews from my family (young and old)!! I think I will try this again as the recipe is written (only 1/2 stick of butter though - 1 just seems like too much!) - will update my review if I do. 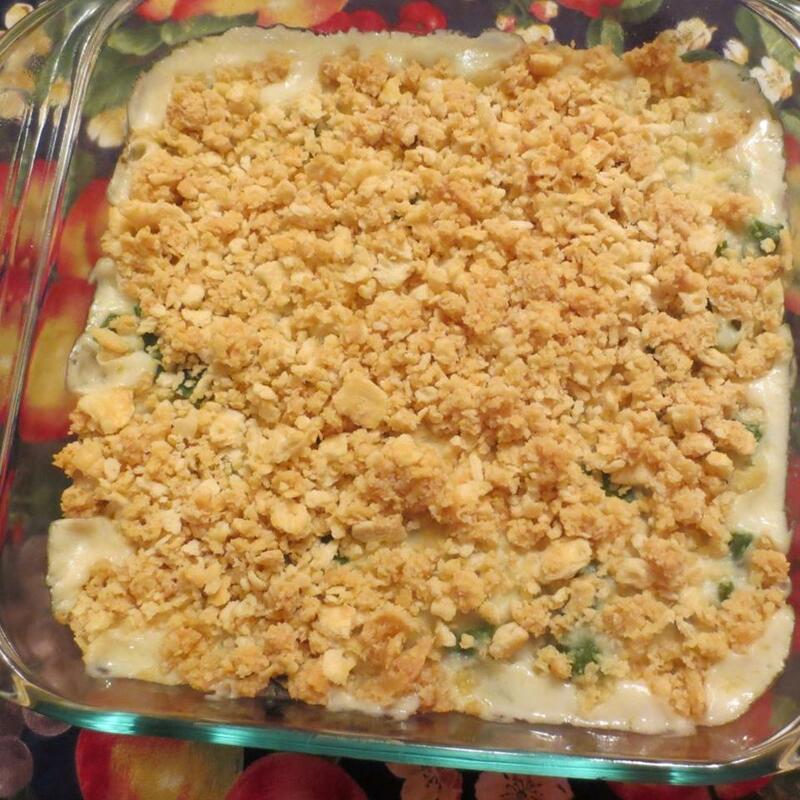 This recipe was really easy to throw together with ingredients that I already had on hand. It was very creamy and tasted great. I loved the Ritz on top - gave it a nice crust. I made a 9 x 13 pan but if you had a smaller crowd you could easily split into two 8 x 8 pans and freeze one for a later time. 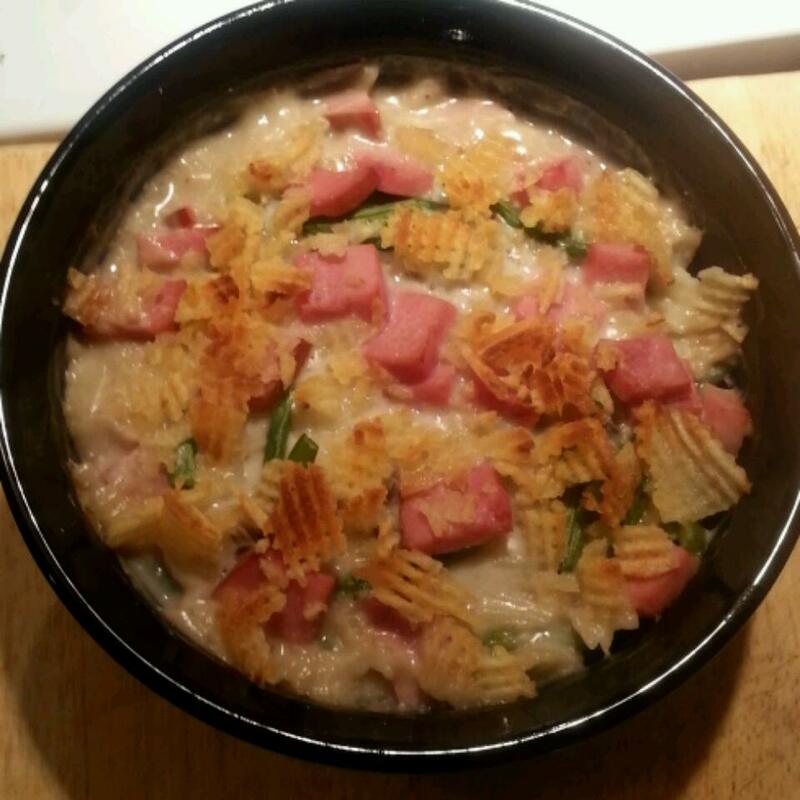 My toddler coulnd&apos;t get enough of this great casserole! I left out the eggs based on the other reviews and it was what I was aiming for. The onion was still kind of crunchy so next time I would pre-cook that before throwing everything together. We prefer our veggies a little softer so I might cook it longer or find another method to soften them up first before baking. Love it! 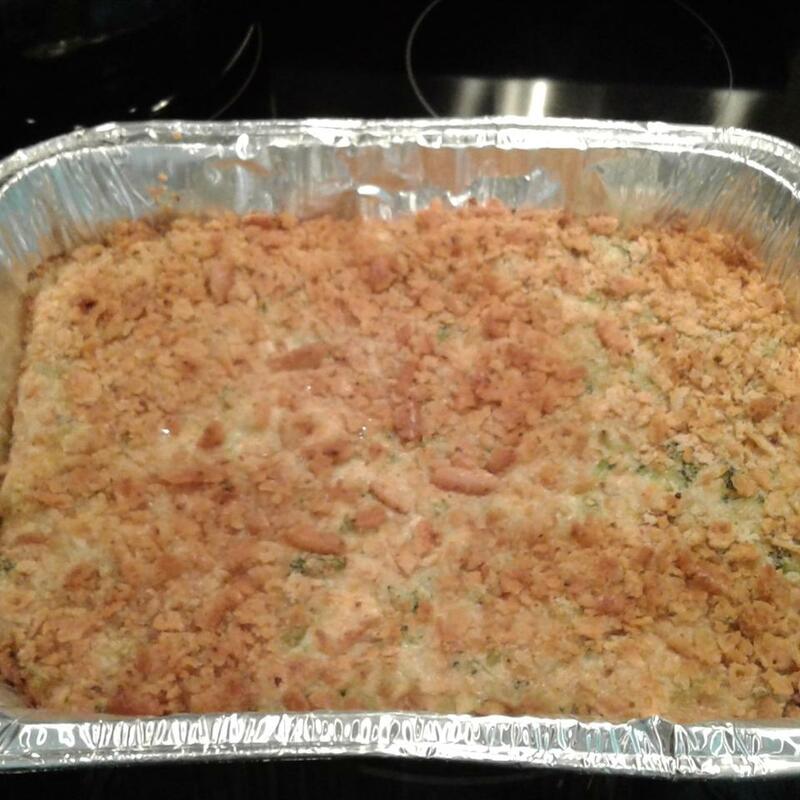 It has been a family and church favorite for quite some time and have the recipe memorized I make is so much! The only thing I change is omiting the butter don&apos;t think it really needs it with the cheese. Even people that don&apos;t like broccoli eat this!! Also I cook the brocolli and drain when I mix with all the ingredients and it always turns out perfect! We found this dish too moist for our taste. We did like the crackers on top. 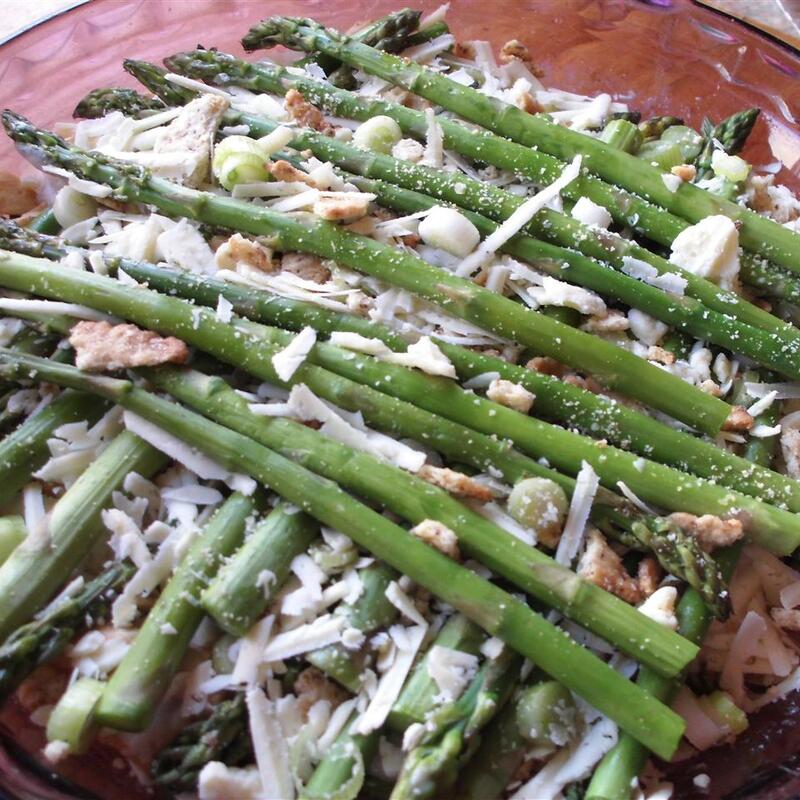 I will try the recipie again however I will adjust the wet ingredients and I will use fresh chopped boccoli. This was great!!! I would suggest do not add the butter. I thought well I will put 1/4 cup and am now regretting it because after reheating it gets greasy. I can&apos;t imagine 1/2 cup. Also I pretty well followed the recipe with some of the added suggestions and it turned out nice. 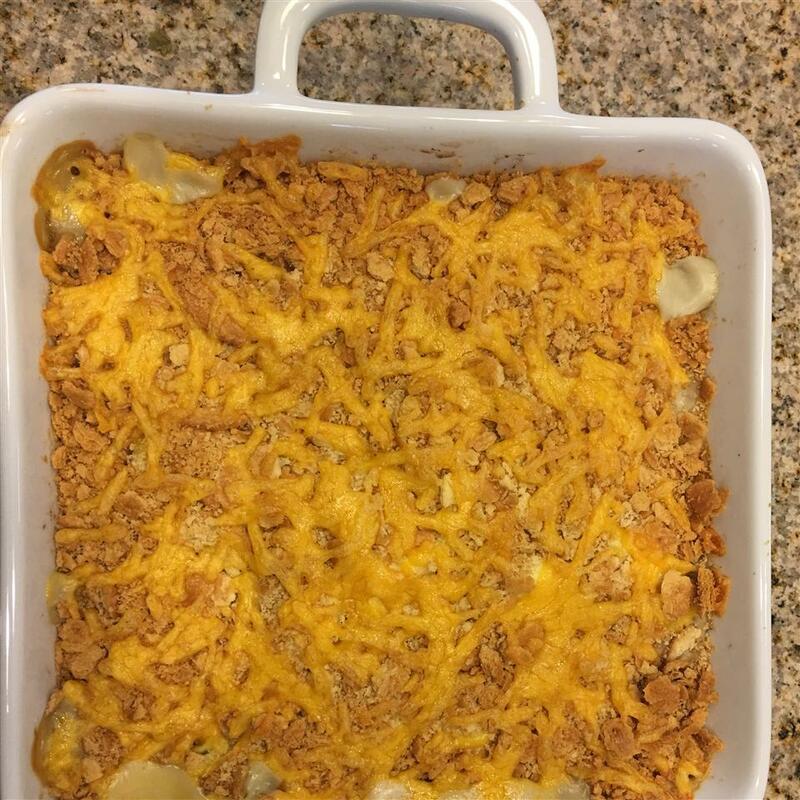 Instead of the Ritz on top I mixed in with the casserole and added French&apos;s Fried Onions and extra cheese in the last 10-15 minutes of baking. I will definitely use this recipe again.